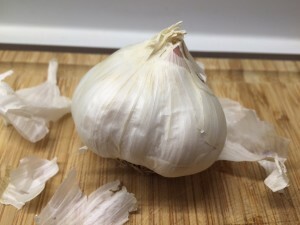 Give your winter table more flavor by roasting garlic before adding it to hearty soups and sauces, mixing it into pesto, or simply spreading it on crusty, toasted bread. 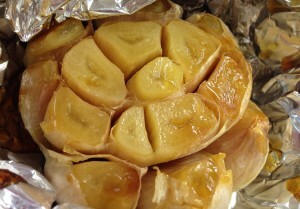 It’s easy to make these buttery cloves and they sit in the oven while the rest of your dinner is cooking. 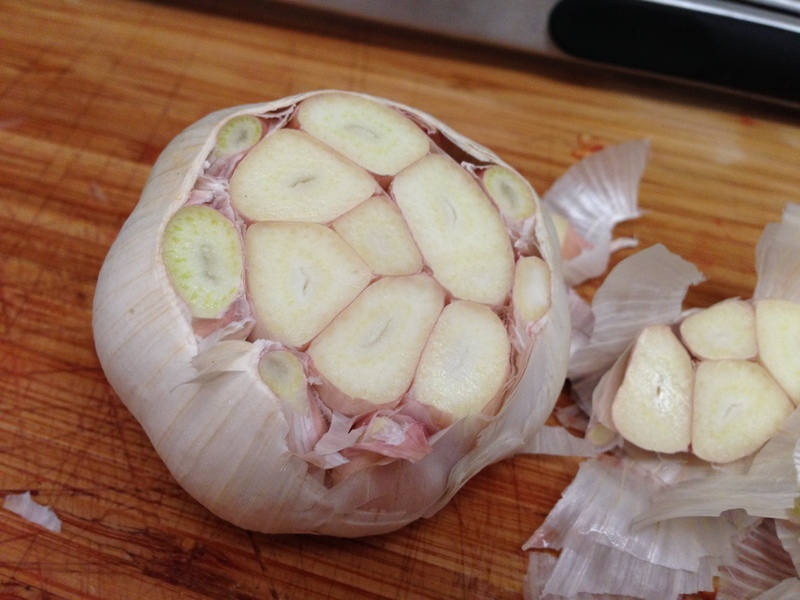 Peel off the excess “skin” from the head of garlic. Cut 1/4 -1/3 off the top of the garlic to expose as many cloves as possible. Drizzle with olive oil – be liberal! 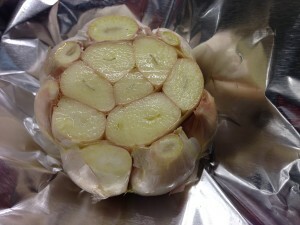 Place garlic on a piece of foil. 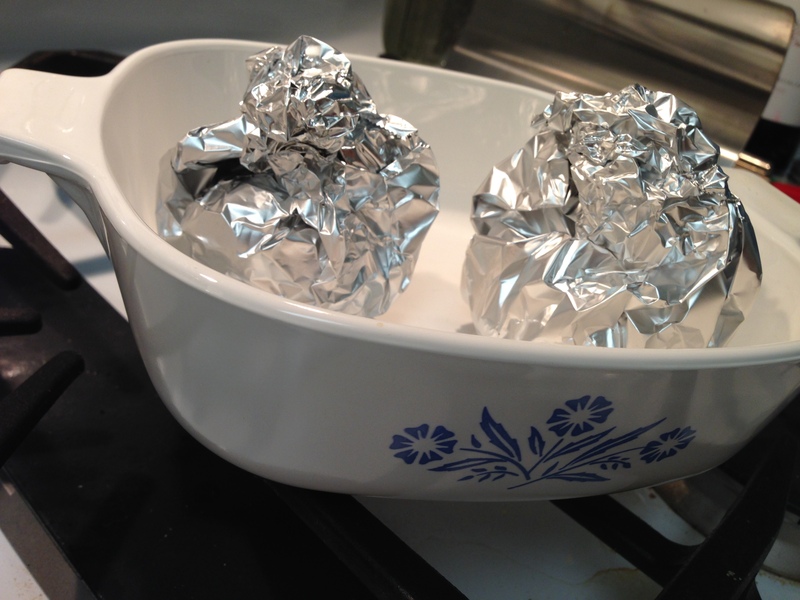 Make a garlic and oil package and place in an ovenproof baking dish. Bake for 45-55 minutes in a 400 degree oven until the cloves are golden brown. 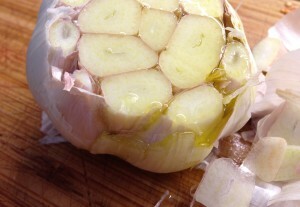 Allow the cloves to cool for 10-15 minutes before gently squeezing the garlic out of the skin. 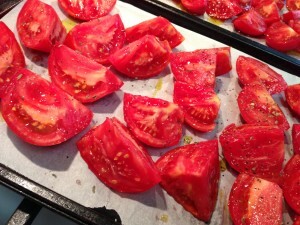 When there are more tomatoes in your garden or in your CSA box than you know what to do with, it’s time to save some of that summer flavor for the cold months ahead! Roasted tomatoes can be frozen for a few months and it’s worth it to have that deep tomato flavor to brighten up soups and sauces on long winter nights. As food allergies become more commonplace it should come as no surprise that one day you may have to prepare a meal or snack for someone who has one. If that allergy is to egg whites the substitution is simple. Use the flax egg the same way you would use a regular egg in pancakes, meatloaf, meatballs or even muffins and brownies. The flax adds a a slightly nutty flavor and gives your meal an added benefit of fiber and healthy omega-3 fats. Ground flax seed can be found in most grocery stores, and once opened can be kept tightly sealed in the fridge for up to 3 months. You don’t have to be a busy parent to want dinner on the table ASAP at the end of the day. With having only a short window of time to get home, get settled and get dinner on the table, I’ve picked up these 5 strategies to help me through crunch time. 1. Use your freezer You have one, it’s free, use it. Think of meals that can be made in large batches such as soups, sauces, stews and meatloaf, meatballs and breaded chicken cutlets. Keep frozen vegetables for a quick side. It’s also good to have a few kids meals on hand for the nights they don’t want what you’re eating or you want to order in. 2. Make a meal plan Whether it’s for a few days or the entire week, meal plans will help you streamline your shopping and reduce time in the store. Consider a food delivery service such as Fresh Direct and shop anytime you have a few minutes. 3. Reduce dinner prep time Cut and prep your veggies on Sunday or if you’re using carrots one night and you need them later in the week cut them all at once (another benefit to a meal plan!). Most cooked grains also keep well for up to one week. I’ve found that having Monday’s dinner prepped on Sunday is very stress reducing! 4. Buy a slow cooker This may require prep time the night before, but nothing beats a ready-to-serve dinner when you walk in the door. Dinner doesn’t get much easier than these 3 Ingredient Tacos. 5. Keep a well-stocked pantry and freezer Have basics such as pasta, rice, beans, lentils, tomato sauce and veggies at the ready so you can always cook up a simple dinner. What are some of your tips for quick weeknight dinners? 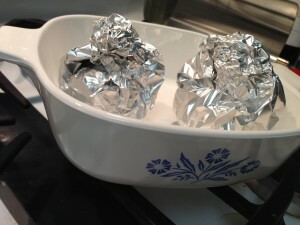 If you’re tired of removing half of your hard boiled egg with the shell because it’s stuck on tight, simply steam your eggs for 20 minutes, then run them under cool water to stop the cooking process. They’ll be perfectly cooked and easy to peel.